The best overall best text editor you can find for handling all kinds of tasks related to text manipulation. 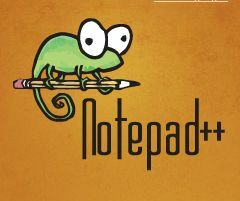 Feature rich with consideration on user experience as a priority, NotePad++ outshines most if not all the text editors available out there. As a surprise, it is free too. D-Link Powerlink AV500 products are one of the best home networking solutions out there. It is simple to install, easy to maintain and easy to scale and upgrade. It works great in majority of house and condo setups. Great networking products that I highly recommend. Price varies from time to time due to seasonal discounts. Networking through power line to avoid complex wiring and inconsistent performance with wireless networks.